The 2017 Annual Banquet and Membership Meeting will be held Wednesday, March 22, 2017 at 6:30pm at Fetzer Center at WMU (registration and check in 6:15 – 6:30pm). The evening’s events will be presented in two parts. Part I will begin with dinner provided by Fetzer Center Catering at 6:30pm and a presentation by our special guest speaker Doug Kurtis. 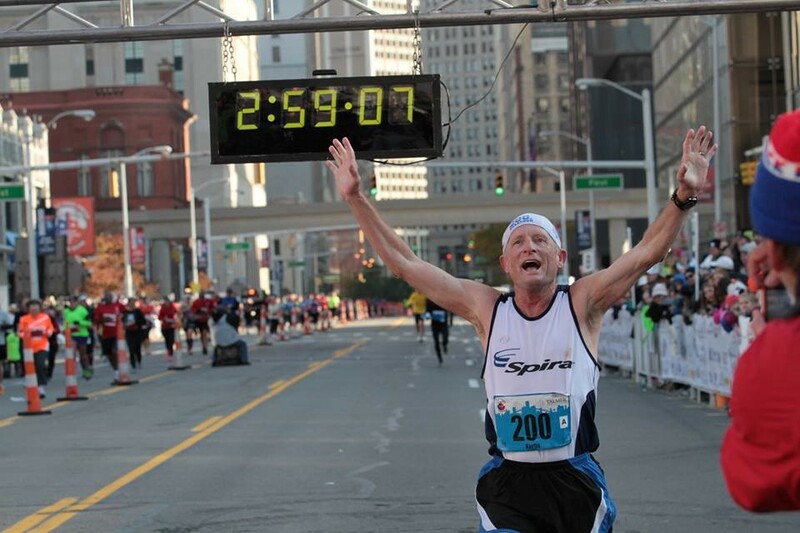 Doug holds the World Record for the most sub-2:20 marathon finishes. 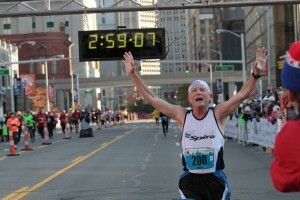 He has completed 205 marathons with 200 of those finishes under 3 hours, with the last sub-3 hour marathon run at age 61. He’s won 40 marathons in his career with 12 of those wins running in the masters category. He is a five-time Olympic Trials qualifier. Doug is currently the race director for the Cork Town Races and Detroit’s Thanksgiving Turkey Trot. The Turkey Trot sees over 20, 000 participants which makes it one of the largest Turkey Trot races in the U.S. There is a charge ($20 KAR Member Adult/$25 Non-KAR Member Adult/$10 Children age 3-10) for dinner and the presentation. Part II will begin at 7:40pm and will include our Runner Recognition Awards, Annual Business Meeting and Election and Door Prize Drawing. Part II attendance only is FREE of charge. Pre-registration is required and closes at 5:00pm, Friday, March 17, 2017. Email Amy Clark at amy.clark@kalamazooarearunners.org with questions.